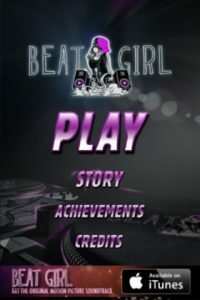 Beat Girl Game is an iPhone game developed by beActive Interactive. This game is a tie-in to Beat Girl the movie, which is premiering in the UK and Ireland on May 10th and in Portugal on May 9th. 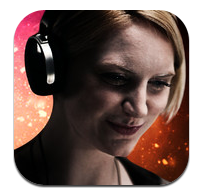 In the end, she will have to choose between her dreams of attending Juilliard, or her new love of DJing. This is the world that the Beat Girl game exists in. The game itself is quite simple. As a “DJ,” you need to tap on the screen in time with the music (all of which is from the Beat Girl original soundtrack.) The controls are slick and responsive, and this game feels luxe enough to be a standalone title, and not just a tie-in. 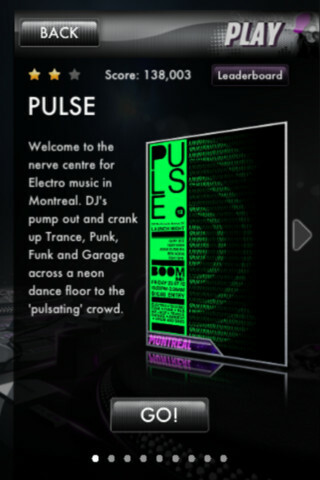 You will play through a variety of gigs at different locations, each of which has variable levels of difficulty. 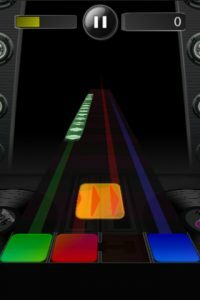 There is integration with Apple’s Game Center with multiple achievements to unlock, to keep you on your toes. 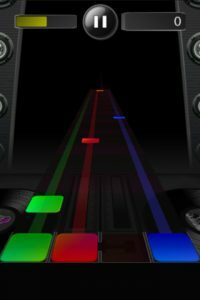 If you like games in the vein of Rock Band, Guitar Hero, DJ Hero, or Guitar Rock, Beat Girl Game is for you. The beats are addictive and the whole package is a real treat. If you love music and rhythm games, this amusing and challenging title is not to be missed. Watch the Beat Girl trailer and the Official Music Videoshere! Beat Girl Gameis compatible with iPhone, iPod touch, and iPad. Requires iOS 5.1 or later.